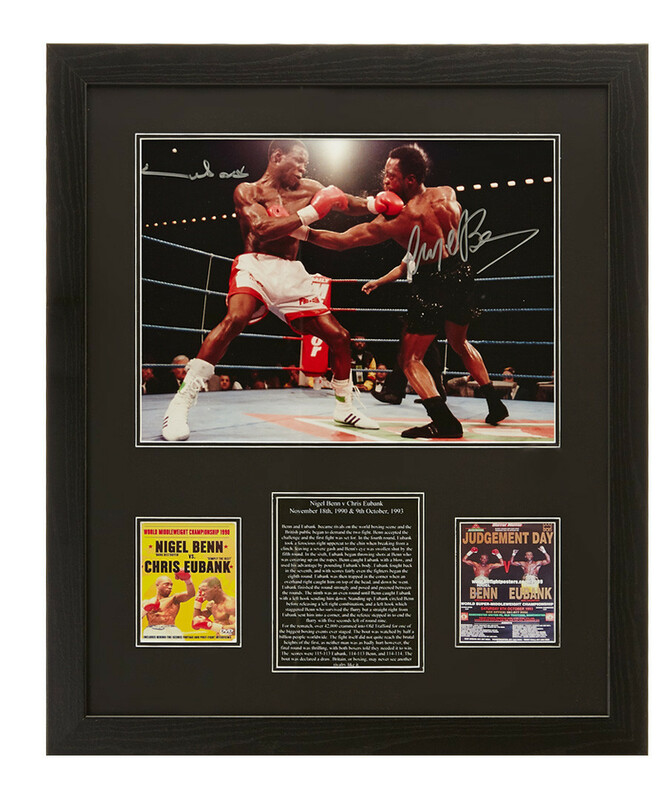 Add a slice of boxing history to your collection with this signed photo of “The Dark Destroyer” vs “Simply the Best”. Taken in 1990 as the two men battled it out for the WBO middleweight championship, it was a grudge match which would go down in British boxing history. 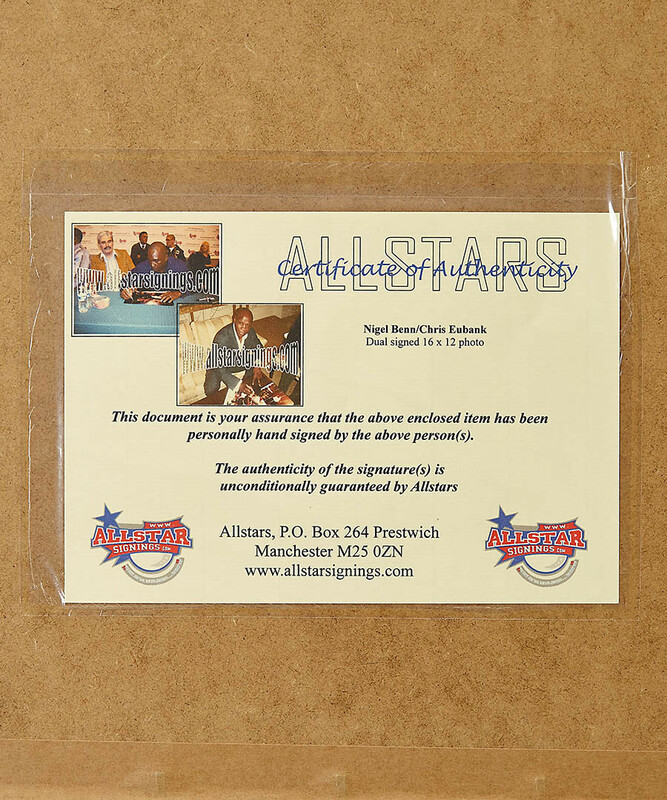 A perfect piece of memorabilia for boxing enthusiasts.